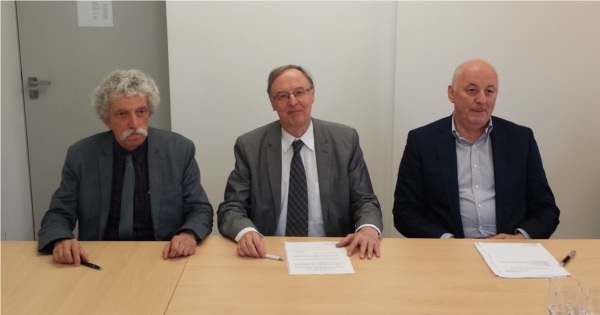 On May 29, 2018 an agreement between the Institute of Physics, Polish Academy of Sciences, the Foundation for Polish Science and the laureate of the IRA competition Prof. Tomasz Dietl was signed. According to this agreement, the project "International Centre for Interfacing Magnetism and Superconductivity with Topological Matter" (MagTop) is transferred to the Institute of Physics, and since June 1, 2018 is carried on in a new scientific division of the Institute: ON-6. This means, in particular, that researchers financed by MagTop are also employees of the Institute. 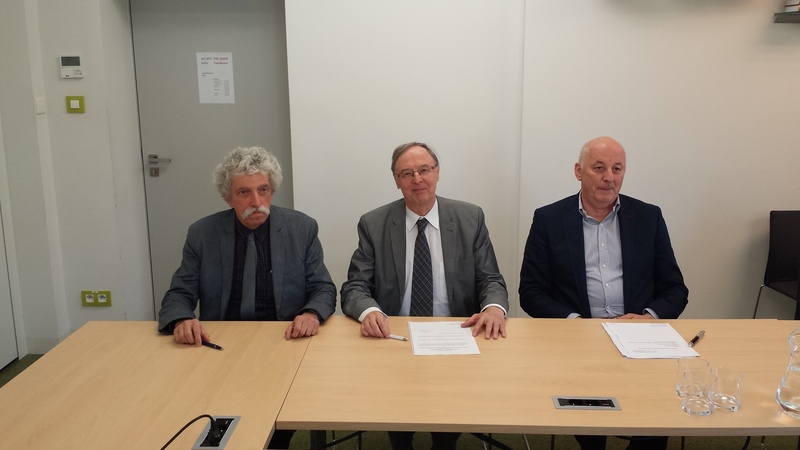 Signing of the agreement between the Institute of Physics PAS, represented by its Director - Prof. Roman Puźniak, the laureate of the IRA competition Prof. Tomasz Dietl and the Foundation for Polish Science, represented by its President - Prof. Maciej Żylicz.